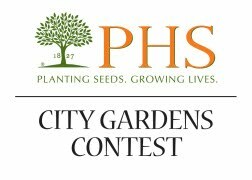 We are pleased to announce that Ned Wolf Park has been awarded FIRST PLACE in the Community Gardens category of the Pennsylvania Horticultural Society's 2010 City Gardens Contest. Congratulations to all the NWP gardeners, and thanks to all of the community members whose dedication and contributions have made Ned Wolf Park bloom. We'll be celebrating at the PHS Fall Garden Festival, held September 11 at the Navy Yard. Join us and help celebrate the season!